Avant-rock trio City of Ships have announced their much anticipated sophomore album, Minor World, which will be co-released by Translation Loss Records and Sound Study Recordings on July 19. The band is streaming a song, “Low Countries”, from the upcoming album on Brooklyn Vegan. If you like what you hear, Sound Study Recordings is offering fans the chance to pre-orderMinor World on limited edition (500) 210 gram vinyl here and Translation Loss is doing a CD preorder here. For Minor World track listing + City of Ships tour dates…. 09.07 Bolzano IT – Rock Im Ring * w/ Caliban, Terror, etc. 24.07 Rokycany CZ – Fluff Fest * w/ Ceremony, Polar Bear Club, Lemuria, etc. 12.08 Ieper BE – Ieper Fest (day/time TBA) w/ Meshuggah, Decapitated, Dillinger Escape Plan, Cro-Mags, etc. 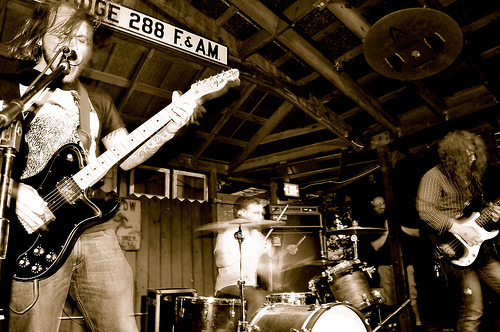 This entry was posted on Thursday, June 30th, 2011 at 1:10 pm	and tagged with brooklyn vegan, City of Ships, minor world, Sound Study Recordings and posted in Music News, News. You can follow any responses to this entry through the RSS 2.0 feed.